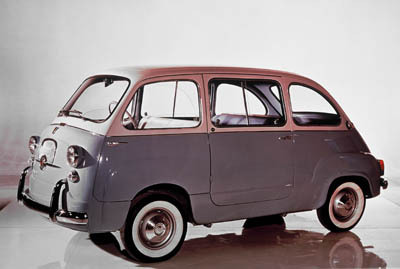 The Fiat 600 Multipla was another engineering success of Dante Giacosa. 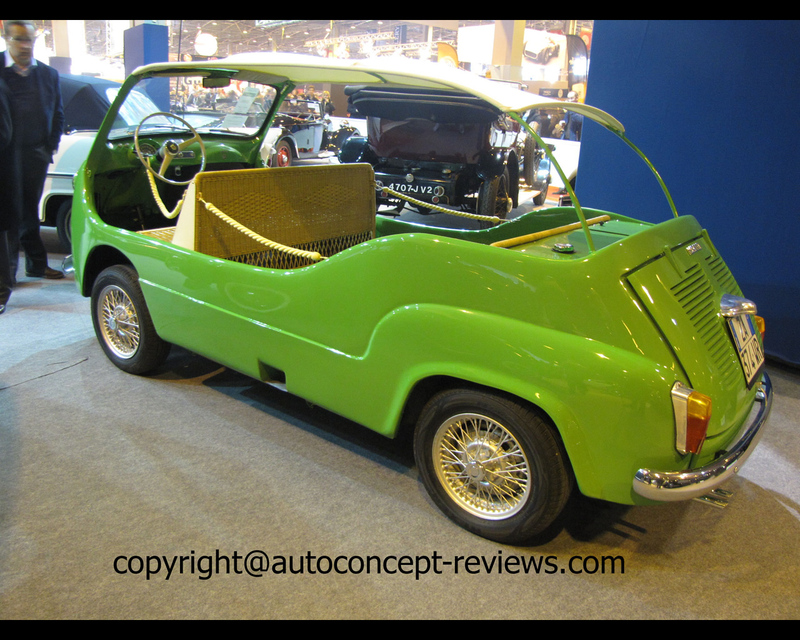 By advancing the passenger compartment over the front axle and keeping the powerplant at the back , he created one of the first monovolume automobile. 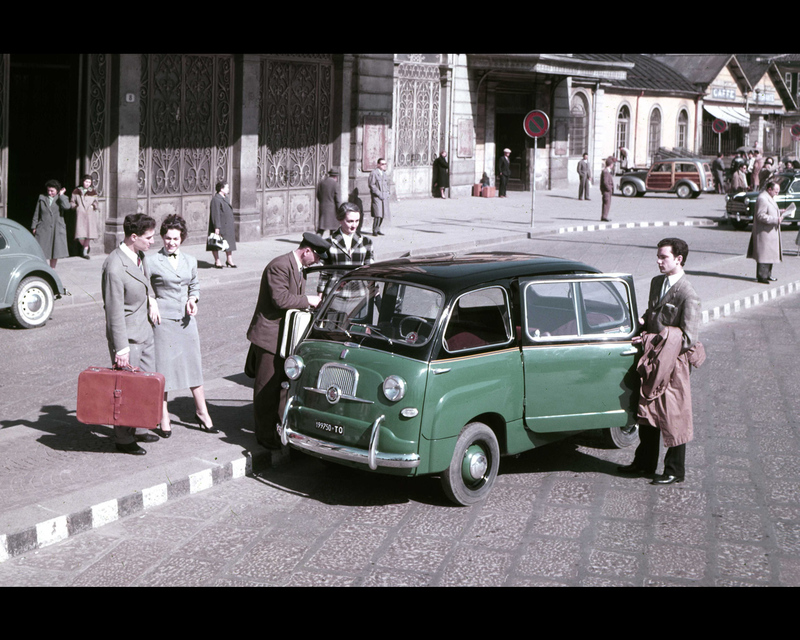 The Fiat 600 Multipla utilised the suspension of the Fiat 1100 allowing wider tracks for the automobile. 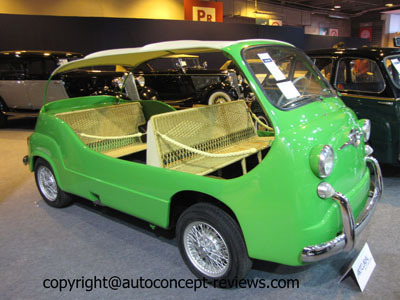 It was possible to fit six seats in a volume of 3,53 meter (11 ft 6.8 in) in total length. 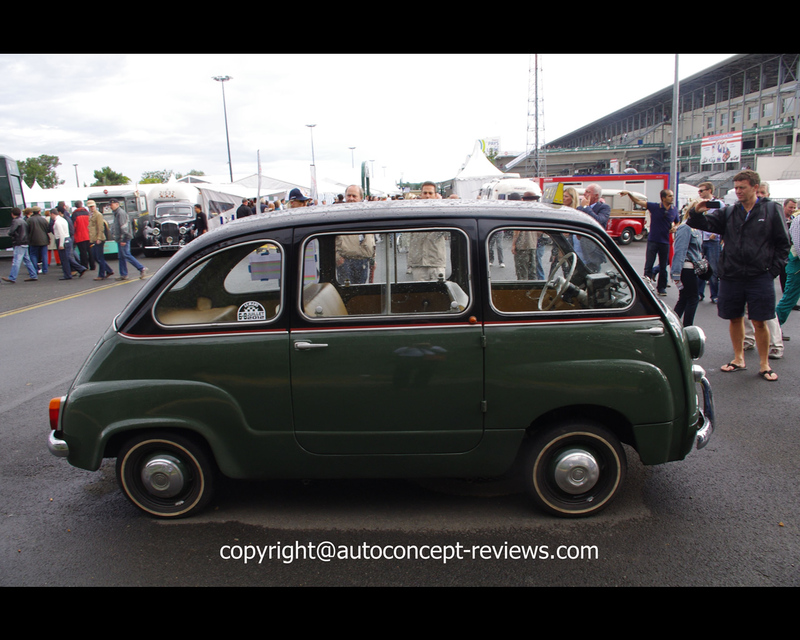 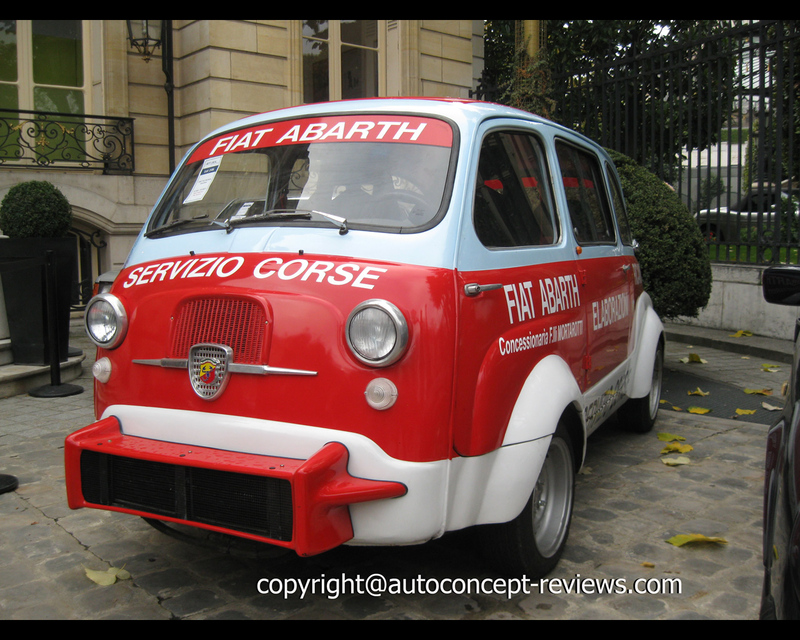 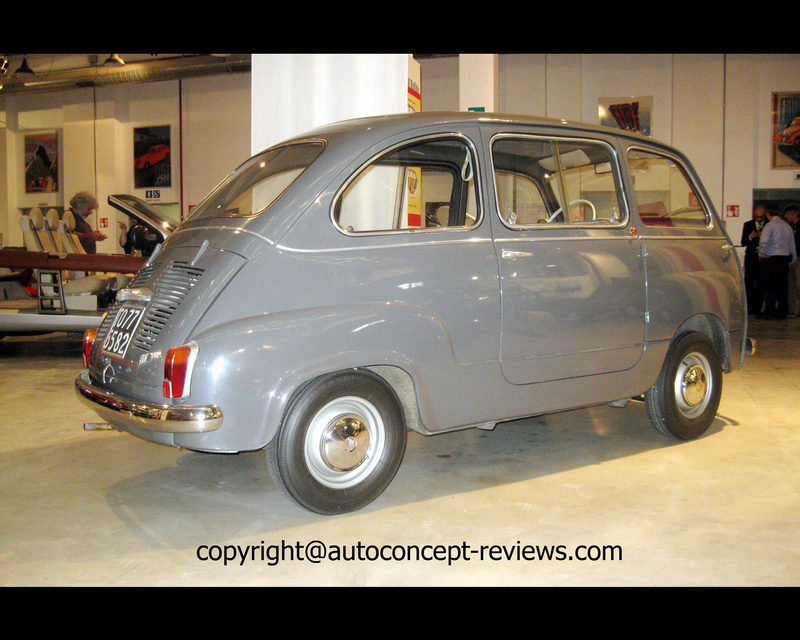 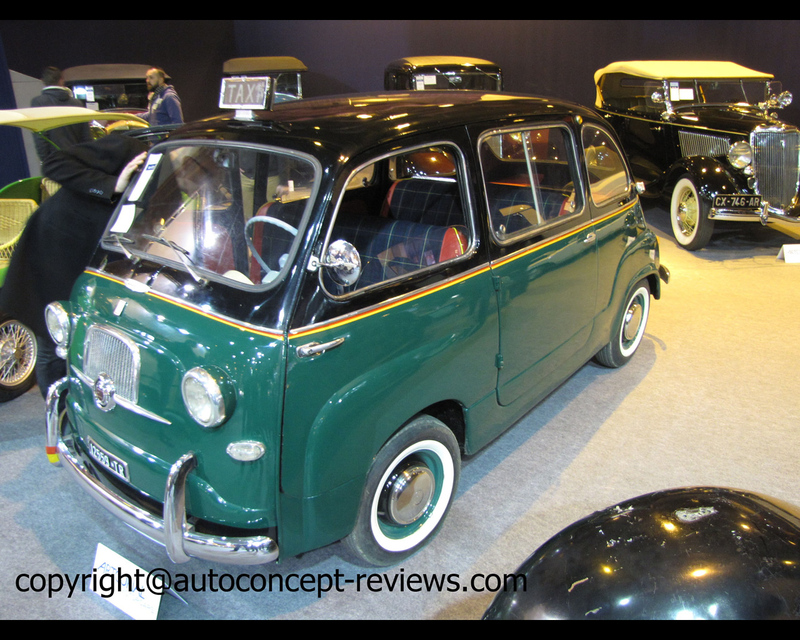 The Fiat 600 Multipla with the powertrain of the Fiat 600 sedan proposed great capability but with low performances. 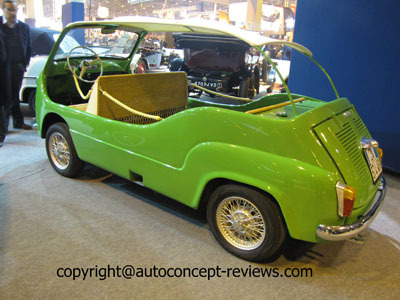 Top speed was announced at 90 kph (55 mph). 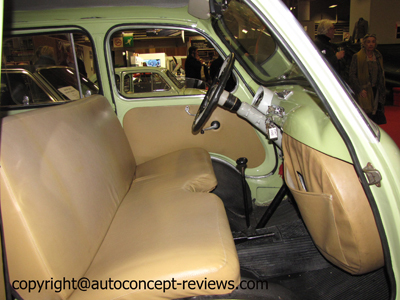 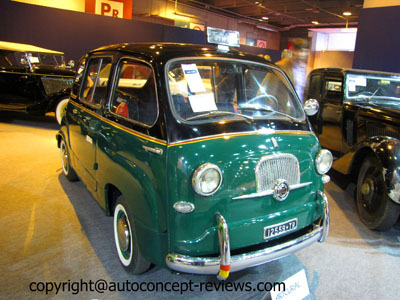 Several version were proposed based on the Fiat 600 Multipla and this include Taxi or beach car with open body. 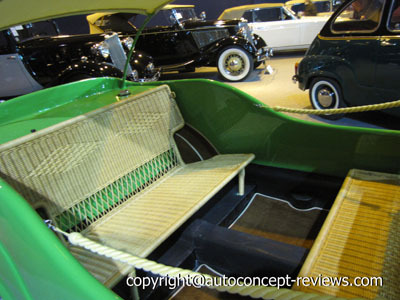 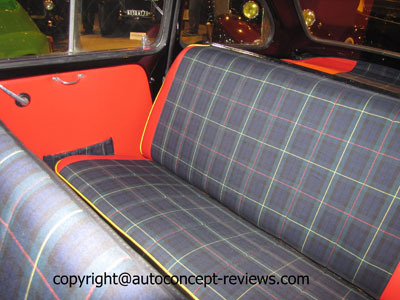 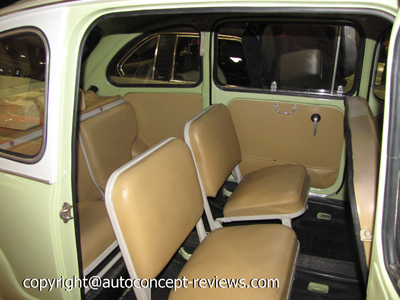 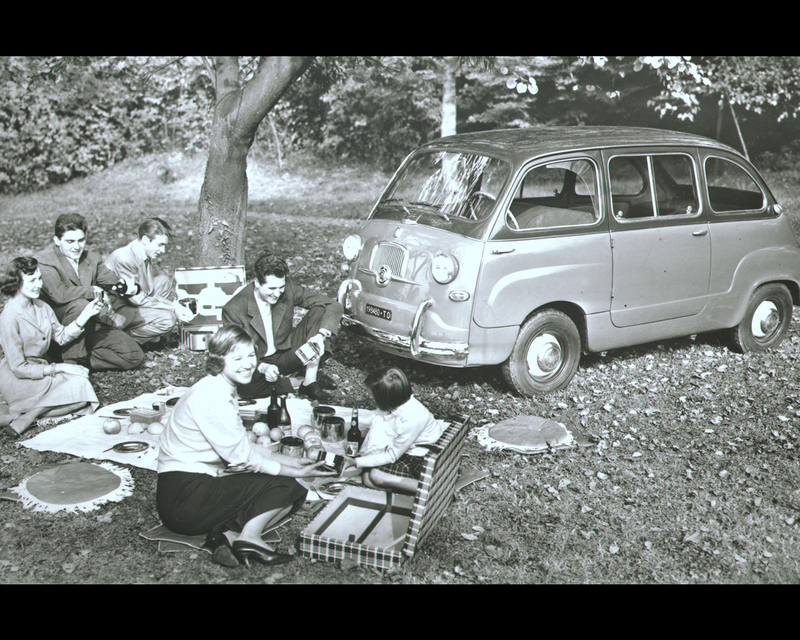 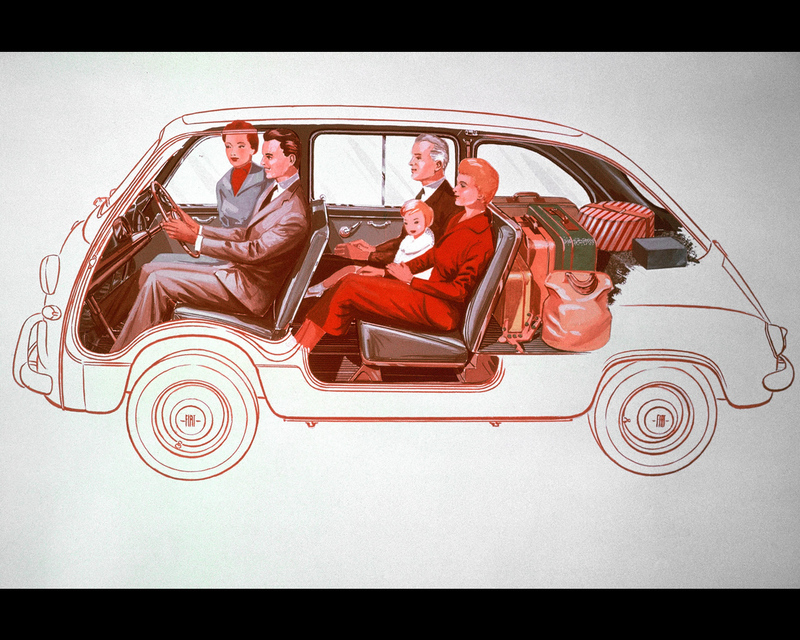 The standard car was proposed with six seats or 4 to 5 seats and larger luggage space. 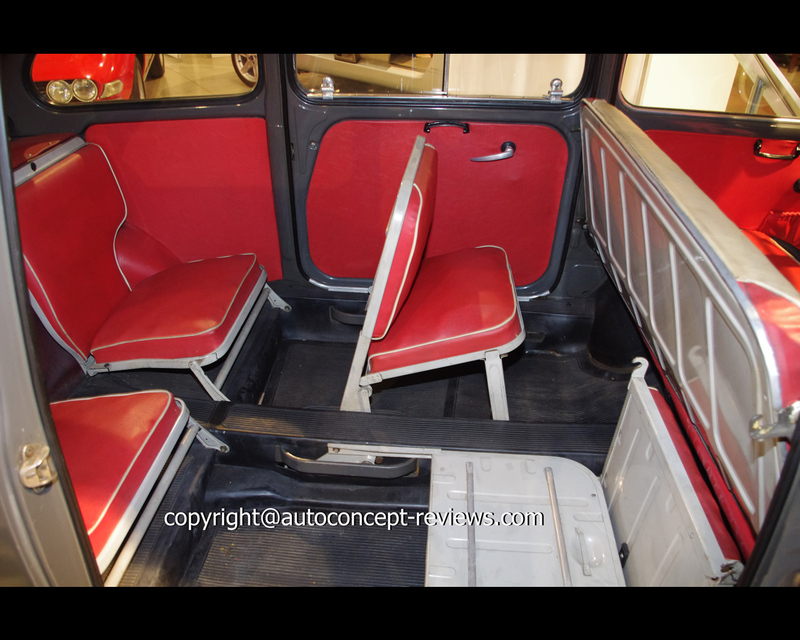 It was also possible to remove the rear seats and obtain a large loading platform. 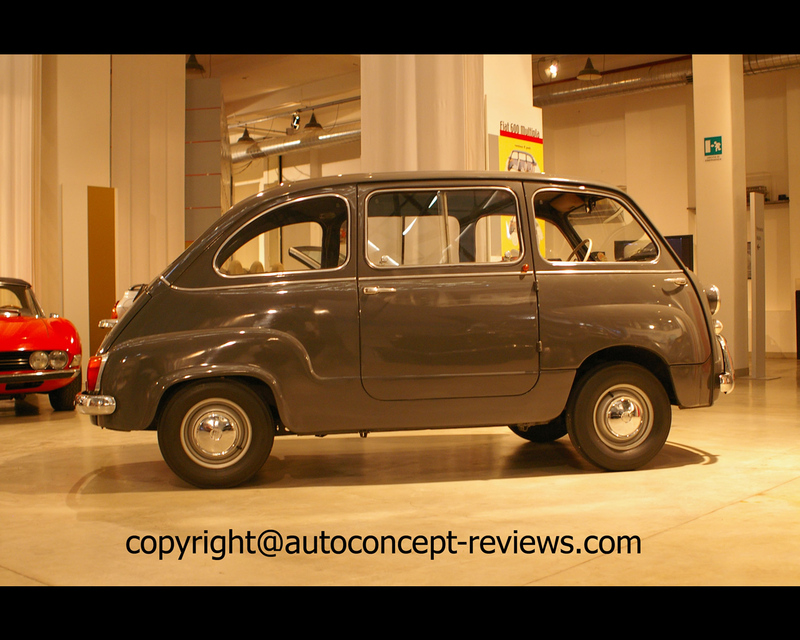 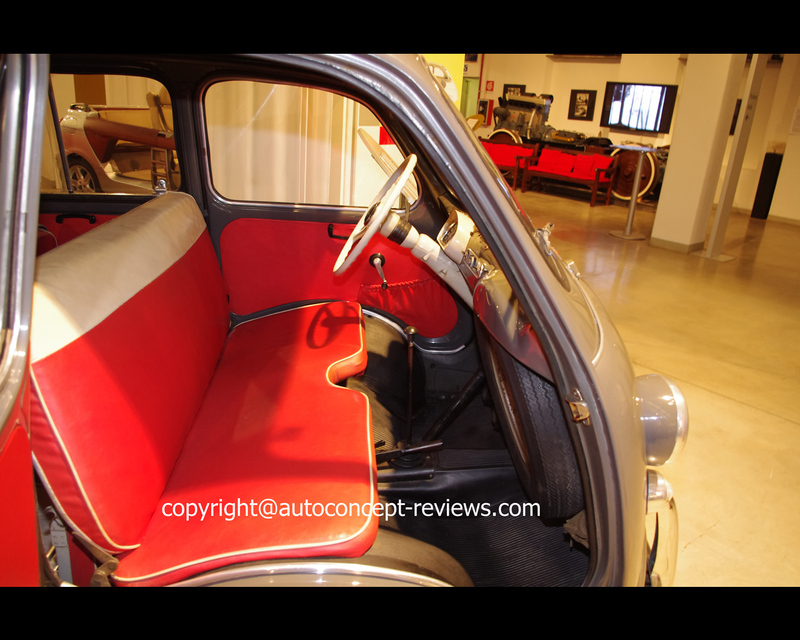 In 1960 Fiat launched the Fiat 600D sedan and 600D Multipla with 767 cc engine producing 29 hp. 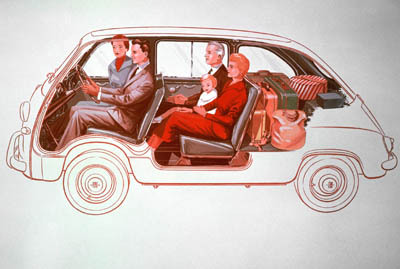 The production continued till 1969. 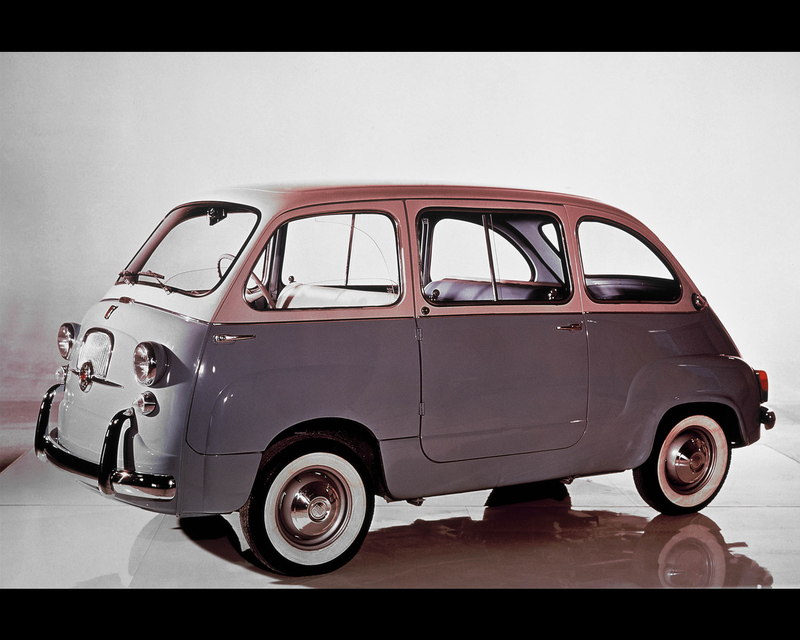 In 2015 a Fiat 600 Multipla was sold for US$ 60.500 (equivalent to 54.099 Euros) at Bonhams Auction Sale on Quail Lodge. 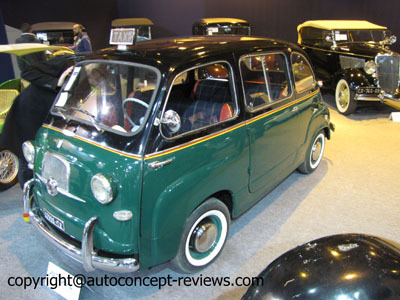 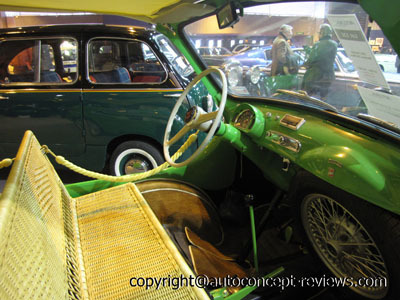 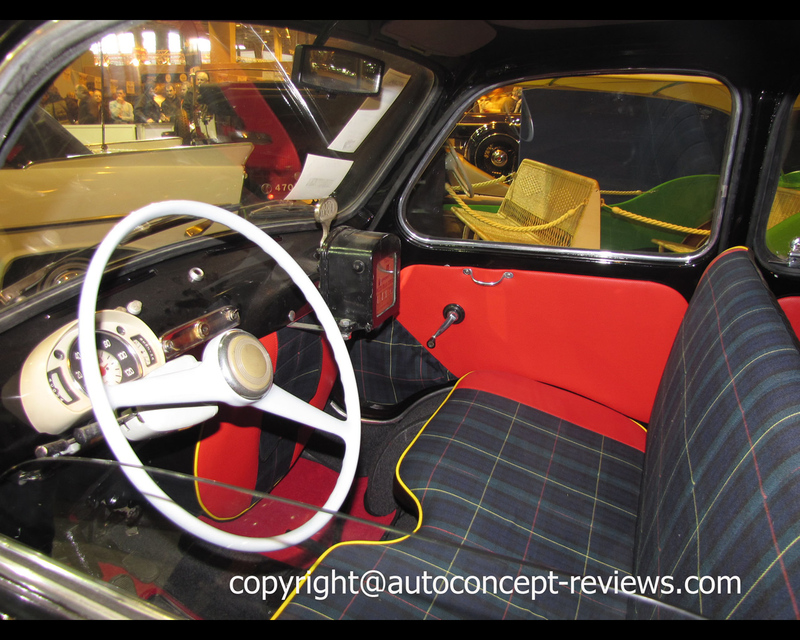 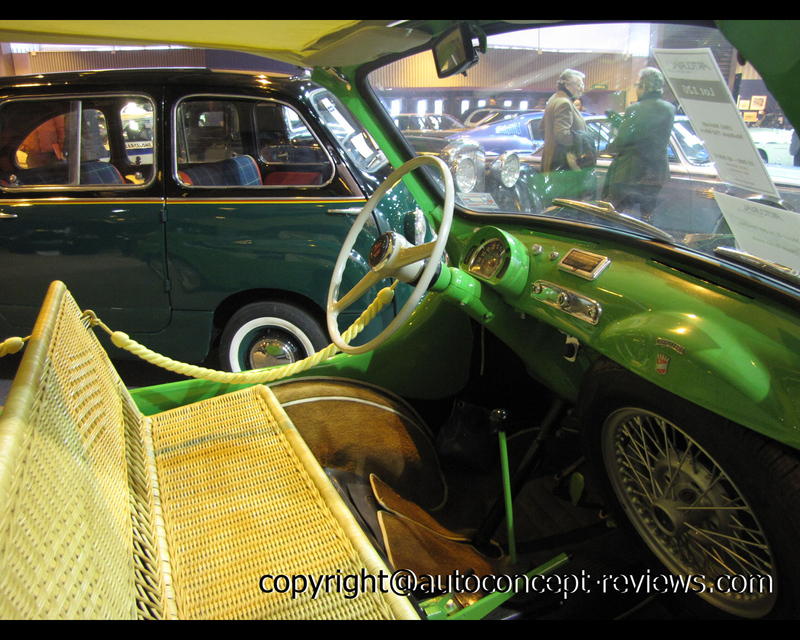 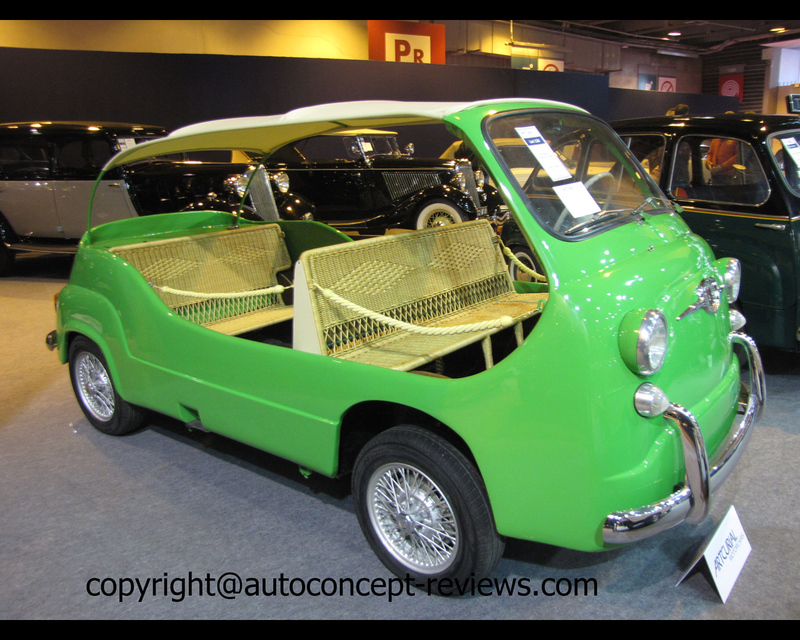 In 2015 , a fully restored 1956 Fiat 600 Multipla Taxi as well as a completely rebuilt Moretti Multipla 750 Mare were sold for Euros 37.120 at the Retromobile Artcurial Auction Sale. 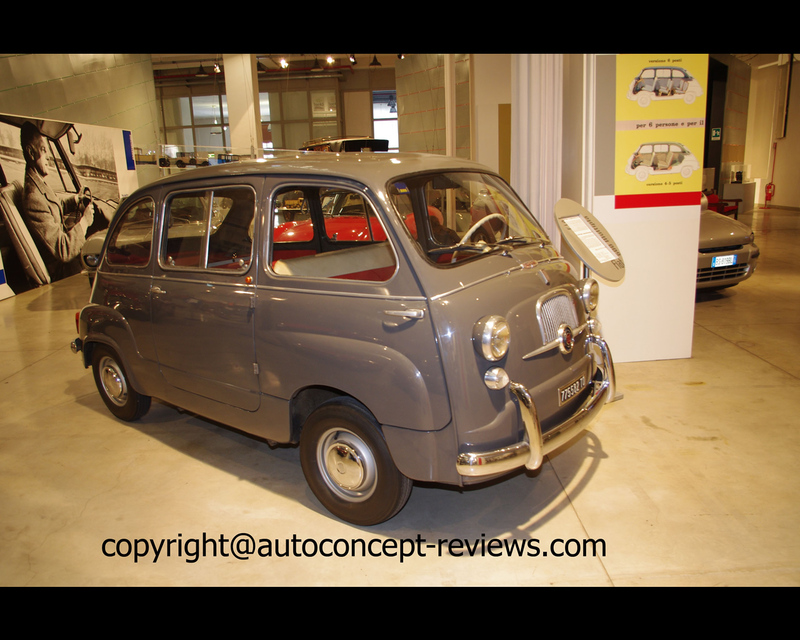 In 2016 a Fiat 600 Multipla was sold for Euros 42.560 at RM Sotheby Auction Sale in Monaco.